Yesterday’s Post outlined my plan to focus on my own continued improvement. The meat of the plan had to do with changing habits, removing the bad, and adding the good. However, this is not something that I have done well with in the past. I often set out to make changes, and start strong, but soon my will power runs out, and I am left in a far worse position than where I started. Coincidentally, a friend shared with me yesterday a website that he has created called How To Be Human, Which he described as “a self-help site that will deliver therapy-grade psychoeducation accessible to everyone.” As a good friend would, I immediately clicked on the link to check out his creation, and it absolutely blew me away. I have been on a mission to resolve my personal struggles. To live free of anxiety, depression, self doubt, shame and regret, to connect with those I care for, to live in the present moment, to feel and enjoy it, to think clearly, to sleep easily and fitfully, to breathe, to find balance in what I eat, to be comfortable in my own skin whatever that looked like, to not fear being confused and vulnerable, to be warm and caring, to be authentic to myself and others, to find joy, meaning and harmony in how I live, to love, to be happy. Every step of the way I wondered “what’s the link? How do all these diverse goals hang together? There has to be a simple answer.” This series is that simple answer. It is all part of being human. I have spent the last nine years learning something I didn’t ever expect I’d need to learn, how to be human. 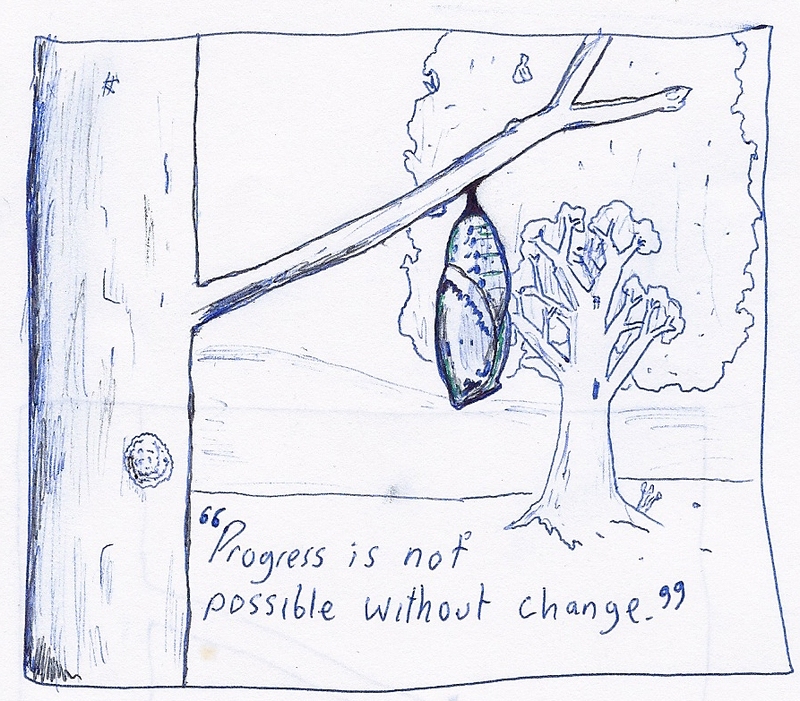 The Series has 11 modules, the first of which is called CHANGE. The CHANGE module explains our ability to re-program our brains through learning, solution shaping, and enacting change. It also covers factors that may derail attempts to change, and those that help to facilitate change. That just so happened to be exactly what I needed, and It has given me a little extra guidance as I begin (once again) my journey to make the most out of life on this planet. How To Be Human is written with a very easy to read style, while still being extremely informative and educational. I can’t recommend this series highly enough, and I look forward to reading the second module MONITOR AND MOVE which is scheduled to be released on October 14th, 2014.